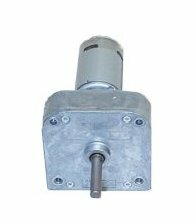 If you're searching for gearmotors, welcome! Here you'll find information to get you on the right track. If you have questions, feel free to Email Us. 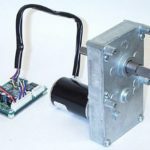 Where can Rex Engineering motors be used? Looking for a drop-in replacement motor? 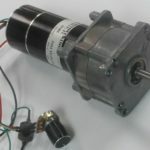 We can match the RPM, torque and form factor (layout) of other motor brands, and even make improvements if you wish to optimize the motor for your own use. 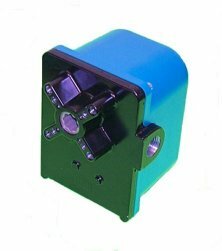 Our gearboxes use common mounting hole patterns which are widely used in our industry, and compatible with most existing machinery. The output shafts can be customized to fit exactly with the rest of your equipment. 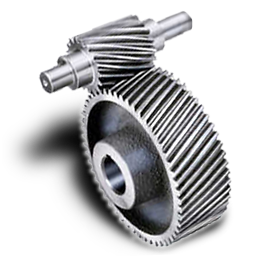 We offer the highest quality motors at competitive prices. Have you tried to search catalogs or websites to find a motor close to your specifications? You don’t have to. We can customize all aspects of a design to fit your needs at no extra cost. To the left, you'll see some of many gearbox sizes and configurations you can choose from. 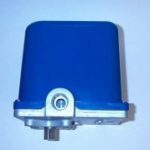 We are also happy to recommend the best options for you depending on the torque, power, and mounting requirements of your motor. The gears inside are made in-house and customized to give you the speed and torque you need for optimal performance. The output shaft is also manufactured right here on modern CNC equipment. Its size, shape and length can be customized to your specs. 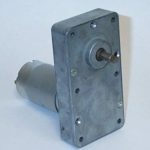 We offer permanent magnet DC, brushless DC, and AC powered motors in various sizes and strengths, reversible and unidirectional options, and several mounting configurations. Our engineers are happy to work directly with you throughout the design process. Our motors and most components are manufactured right here at our facility in Titusville, Florida, so we have unlimited capability to make specialty parts for your design. 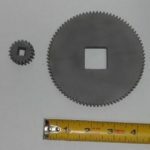 We are primarily a high-volume manufacturer with a production capacity of thousands of motors per day. We are capable of handling very large or small orders with attention and care. 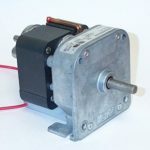 Whether you are a large or small company, you can expect excellent customer service and the highest quality gearmotors.